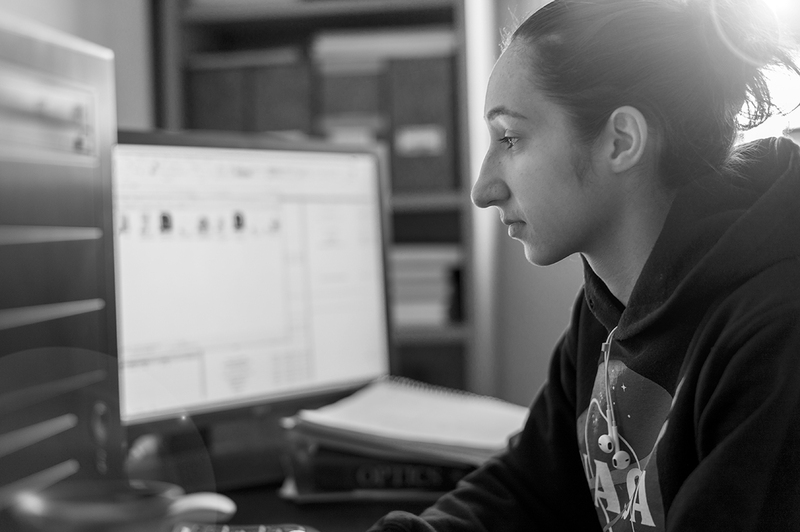 One of the undergraduates in the lab, Jessica Garcia is seen here annotating conectomes in the lab prior to her presentation at this years ARVO conference. Jessica came to us by way of service with the US Navy, and in our lab is exploring the OFF-layer branches of ON cone bipolar cells in early retinal degeneration. This is important work as we are unraveling how circuitry in the retina changes in neurodegenerative disease. This entry was posted in Daily and tagged Jessica Garcia, undergraduate on March 28, 2019 by bwjones.